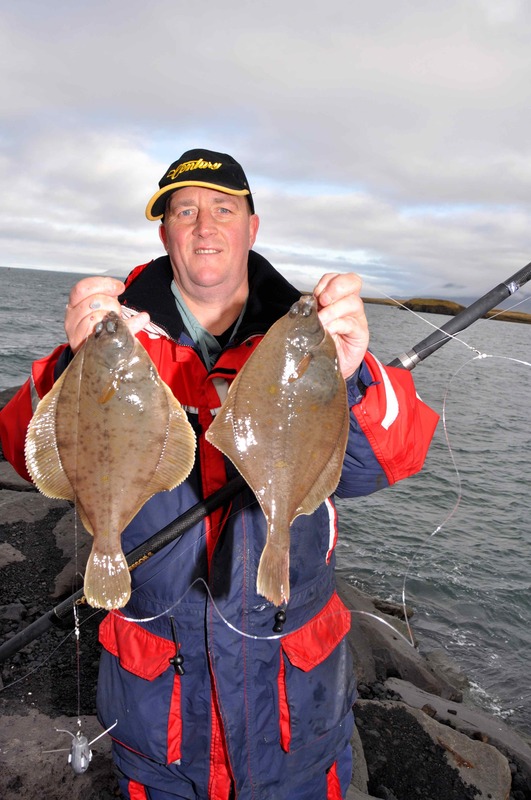 Imagine a shore mark where catching double shots of fine, fat, flatfish is very much the norm rather than just a rare exception. A place where plump, rod bending, purple flanked haddock will readily engulf just about any juicy bait you care to offer them, a venue where catching whiting the size of which would draw envious glances were you fishing afloat are commonly caught, a venue where at times ravenous shoals of cod weighing up to and beyond double figures can prove to be a real pain! If you are thinking that such a mark could only possibly exist within the darker depths of my over active imagination then you would be wrong, I‘ve been there, I’ve fished there, and I have experienced for myself a standard of shore angling I’d never thought I would be privileged to enjoy. I first fished in Iceland in the early 1990’s, and for several years I used to regularly lead groups of anglers to experience the truly astonishing fishing that these rich northern seas offer the boat angler. Fishing eight to ten hours afloat was usually sufficient to satiate the fish catching appetite for the majority of crews I used to take to ‘The Land of Smoke and Fire’, but occasionally a few of the keenest anglers would choose to forgo the vibrant Reykjavik night life and go fishing from the harbour walls near to where we used to stay. Then, the following morning at breakfast while the rest of us were desperately trying to shake a heavy hangover, they would sit and cheerfully recount their evening sport, which inevitably included catching heaps of fish. I’ve travelled back and forth to Iceland many times over the years since, but always to fish afloat. Towards the end of 2009 I again found myself in Iceland when I received an unexpected phone call from Steve Mason who runs a company called Icelandic Fishing Adventures. Steve specialises in guiding groups of visiting shore anglers throughout the country and having heard I was in town kindly offered to take me shore fishing one day. I’d already caught more than enough fish afloat so the prospects of a couple of hours sat watching a rod tip while waiting for an occasional bite would make a refreshing, relaxing change I though; how wrong I was! 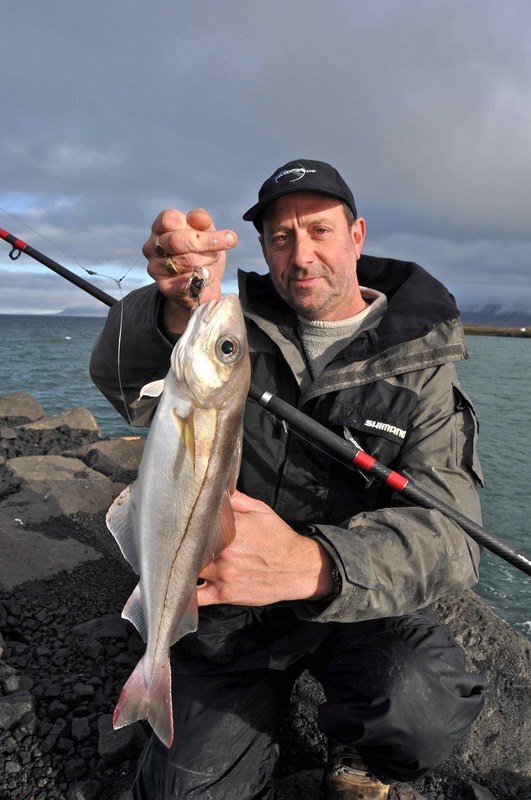 At little after 10, Steve collected myself and regular travelling companion Terry Smith from our hotel and drove us to a rugged breakwater on the outskirts of Reykjavik for a quick taster session, that he had confidently assured us ‘would’ produce fish. Tackling up at the rear of his estate car, Steve explained that this was one of a great many similar marks throughout the area that could be ‘guaranteed’ to produce fish. Clearly Steve was supremely confident that we were going to catch fish, but I confess that as I baited the two-hook flapper rig with some particularly succulent, fresh lugworm, dug earlier that morning by Steve, and that on his recommendation I tipped off with a thin slither of ‘bluey’, I thought that at best we were going to catch a few flatties and perhaps a codling or two: wrong again! As advised I lobbed the baits out perhaps just 50 yards into the deep channel that lay in front of us then placed the rod in the rod rest and sat back to ‘wait’ for a bite. I guess that first bite took all of a minute to materialise, but there was no mistaking the hard rattling on the rod tip. Don’t ask me how but somehow I managed to miss that first bite, though as I was to discover that didn’t really matter as the next bite again came within no time at all of casting out fresh baits. This time I was a little less impatient, and I gave the fish time to fully take the bait, before reeling the line tight and setting the hooks by lifting firmly lifting the rod. There was no mistaking that I’d caught a fish and a few minutes later I swung ashore a double shot that included a 2lb+ whiting and my first shore caught haddock of a similar size. We fished that first mark for around three hours and between the three of us we caught in the region of 20 big dabs, three plaice, one flounder, over a dozen each of large haddock and seriously big whiting and, surprisingly, just the one 3lb codling. It was a cold and windy day with occasional showers of rain yet we were kept so busy we each worked up a sweat, and it almost came as a relief when Steve called for lines in as it was time to drive off to another mark. On route we stopped at a café where Steve gave us the full insight into the phenomenal shore fishing he has discovered on his extensive travels around Iceland. There are places he could take us, we were told, where huge hauls of cod including fishing weighing comfortably into double figures were the norm; Steve’s biggest shore caught Icelandic cod is 16lb though he has caught fish to 28lb when working in Norway. He knew a beach on the South Coast, he said, where the fishing for double figure spurdogs was exceptional, while at certain times of the year catching toothy wolfish to 20lb plus was yet another reliable shore angling option. 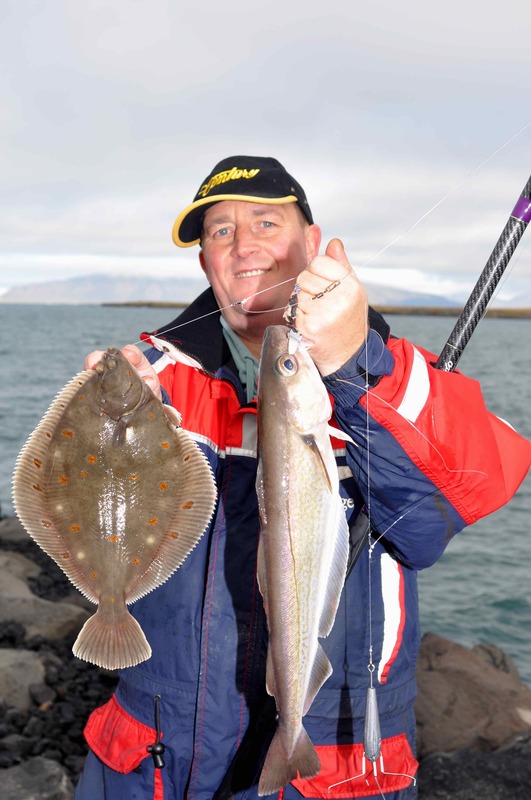 Variety, too, is very much the order of the day when shore fishing in Iceland, and in addition to those species already mentioned Steve and his clients have caught starry rays, lemon sole, megrim, long-rough-dab, scorpion fish, ling, lumpfish and even on a few occasions, halibut. 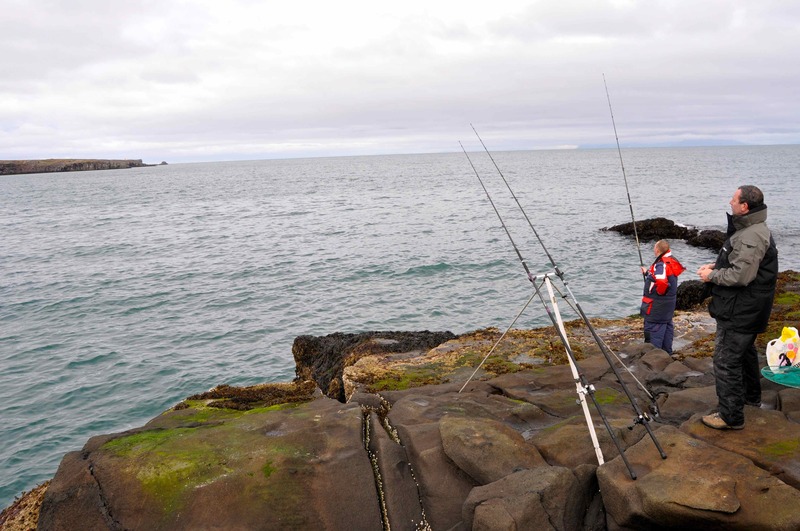 The next mark we fished was a stubby rock headland to the south near Keflavik, which Steve had selected to give us a chance of catching a wolfish, though he had tempered our enthusiasm by adding that September was not the best month for these; April was. Terry elected to set his stall for wolfish and on Steve’s advice baited a 4/0 pennel with a juicy portion of clam, while I stuck with my two-hook flapper rig. Once again we were into fish from the very first cast and during the couple of hours we fished I caught in the region of 24 good dabs, most of which came in double shots, plus a few whiting and coalfish. Unfortunately the wolfish failed to show, but Terry still managed to catch several big dabs. In conclusion what can I say, other than the fact that I am a ‘born-again-shore-angler’! I loved the shore fishing Steve introduced me to so much so that when next I fly to Iceland, which will be in the very near future, I will be going specifically to fish from the shore. That all-too-short off the cuff session with Steve has rekindled a passion for shore angling that in all honesty I thought had fizzled and died out years ago. Best of all for British anglers the Icelandic Krona is currently very weak, and is expected to stay that way for the foreseeable future. Consequently exchange rates are excellent so there has never been a more affordable time to visit Iceland. I genuinely can’t wait for another crack at what surely must rank as the most productive shore based fishery in the north-east Atlantic, though if anyone can advise me otherwise please feel free to get in touch! Dave going to Iceland on7/9th March what can i expect to catch then . Everything will depend on weather, but the beauty with Iceland is the fishing can be very good almost anywhere and you’ll always find some shelter. On the boats it will mostly be cod, coalfish & haddock, from the shore much the same plus whiting, dabs, plaice. The wolffish move inshore to spawn in April, so good possibilities for these too. Thanks Dave.Really looking forward to the trip .As being a Newport boy myself more used to catching silver eels than wolf fish . CHEERS. Hi Colin, you boys will have a great time-let me know how you get on. Sounds like a great trip. We’ll be there in a few weeks and hope to do some shore casting. 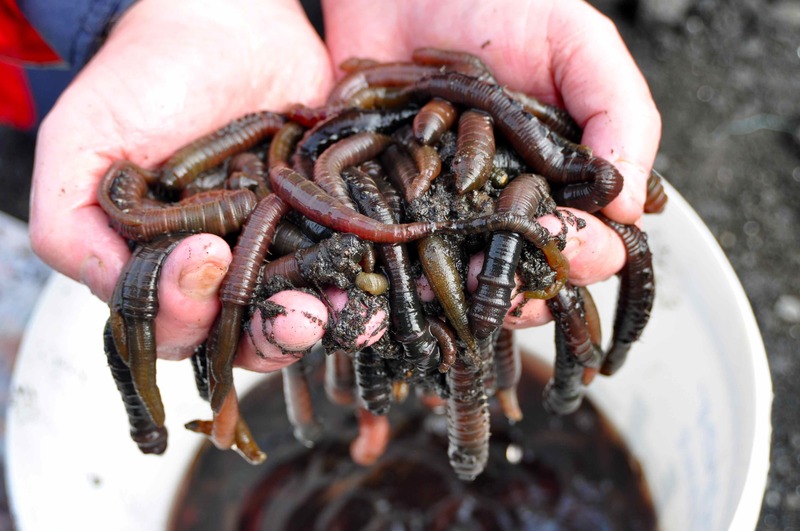 A change from our usual angling in the Chesapeake and Atlantic off Va. How do you dig lugworms? 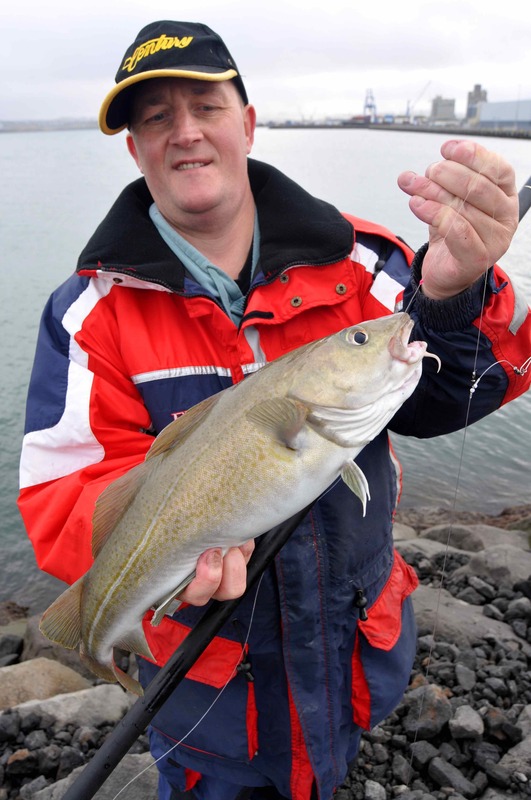 Yes the shore casting is excellent in Iceland, and lugworm are a great bait. 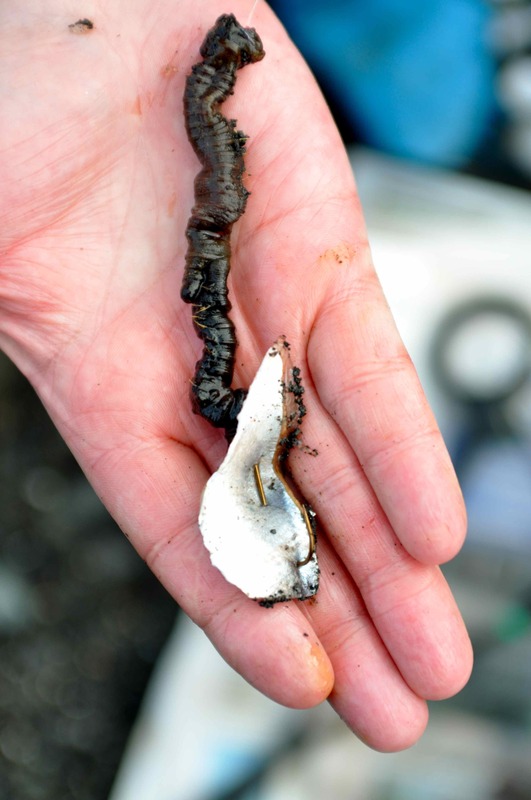 Take a look at this short video on digging them, it will give you a few tips: http://www.youtube.com/watch?v=4ckKVKfX1wg A well as worms, any sort of shellfish, squid or oily fish such as mackerel or herring will catch you fish, let me know how you get on! What do you fish for off Virginia, stripers? Been trying to figure out where the breakwater near Reykjavik is. This site is very difficult to figure out. Will about our Va fishing direct to you. Just send an email to alaskanaturally@yahoo.com. We’re Reykjavik for just two more days. 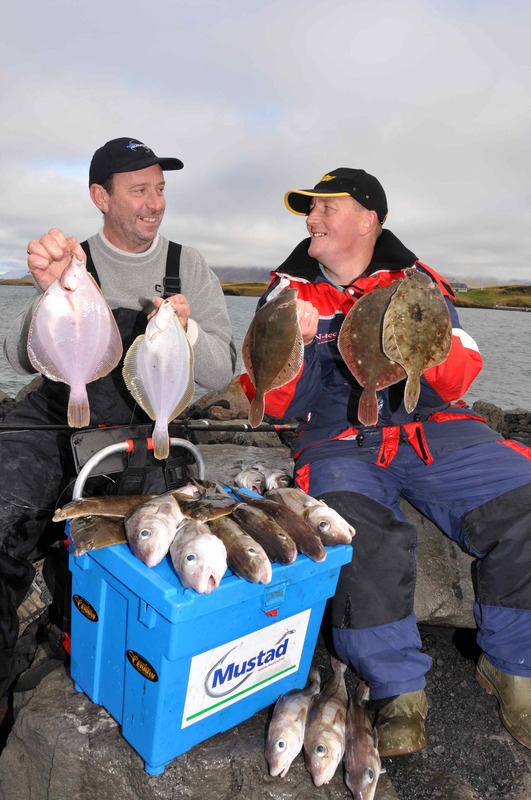 We’ve caught a number of flounder and yesterday ran into unlimited 2-3 pound pollock on a pier in Keflavik. Loads of fun on plastic jigs and 10 pound outfits. Have not had much luck with cod/haddock. Perhaps our bait: cut pollock. Will try to find that breakwater again today. Sorry for delay, been away. Hope you catch some fish! Sitting at airport. Last 3 days it has been blowing a gale with horizontal rain and sleet. Yesterday we fished for an hour at the Viking ship sculpture in late afternoon. Had a difficult time standing but did manage a few nice haddock. The last cast we got our one and only cod of the trip. Ate her for dinner. Looking forward to heading home for some trolling and wreck fishing. Sunday looks like a good day. Let us know if you get to our side of the pond. One better than none! Where exactly are you based, and what will you be trolling for? We’re on the Eastern Shore of Virginia. This time of year we troll for wahoo, false albacore, king mackerel, mahi, etc. Usually yellowfin around but seems lacking this year. Never fished Virginia, I think that with DC its the only state on your eastern seaboard I have never visited. I’ll get in touch if ever I get over that way!